Amici di Eluana, per servire la vita. There is now hope for people who have lost an arm. A new technique can help them regain much of the function they had before. It involves surgery and an advanced type of artificial arm. VOA's Carol Pearson reports. 3	 Pistorius, disabile o uomo bionico? 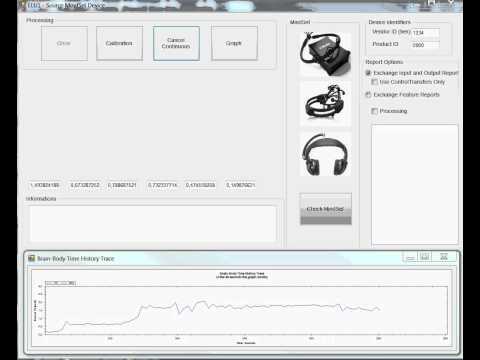 This is a BCI experiment whereby one person uses BCI to transmit a series of digits over the internet to another person whos computer receives the digits and transmits them to the second users through flashing an LED array. 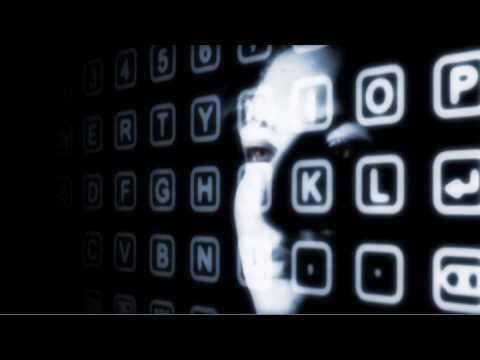 The encoded information is extracted from the brain activity of the second user. 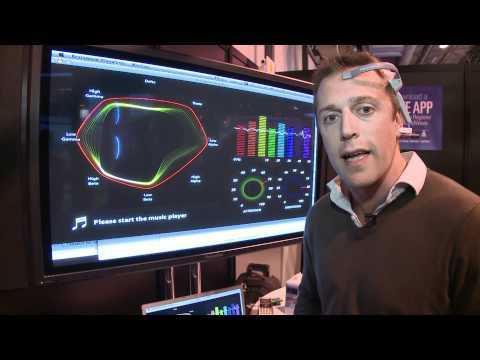 This shows true brain-to-brain activity. This is done as a proof of concept - to show that B2B *is* possible - which it is, as we show here. 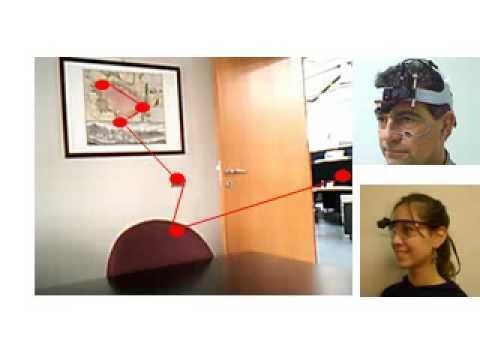 The first person uses motor imagery to generate the digits and the flashing LEDS generate steady-state visual evoked potentials in the brain of the second person - the PCs read these data from the electroencephalograms of EEG person. Honda Research Institute Japan Co., Ltd. (HRI-JP), a subsidiary of Honda R&D Co., Ltd., Advanced Telecommunications Research Institute International (ATR) and Shimadzu Corporation have collaboratively developed the worlds first*1 Brain Machine Interface (BMI) technology that uses electroencephalography (EEG) and near-infrared spectroscopy (NIRS) along with newly developed information extraction technology to enable control of a robot by human thought alone. It does not require any physical movement such as pressing buttons. This technology will be further developed for the application to human-friendly products in the future by integrating it with intelligent technologies and/or robotic technologies. In this movie, two subjects play the computer game "Pong" while 32 channels of scalp-recorded electroencephalo-graphic (EEG) activity are acquired from each subject. 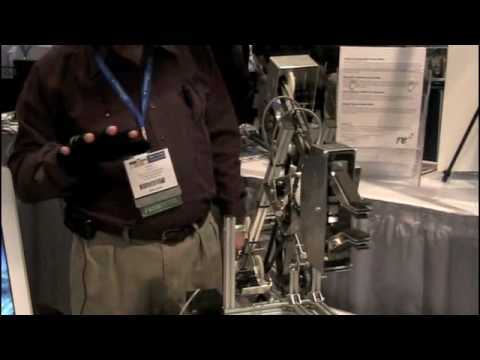 BCI2000 simultaneously processes the EEG signals from each subject, and extracts from each a control signal. These control signals are transmitted to an external application that translates them into the vertical position of the paddles. The electrical brain wave (EEG) from the visual area on the scalp was recorded and classified, making a direct communication channel between subject's brain and the computer program. 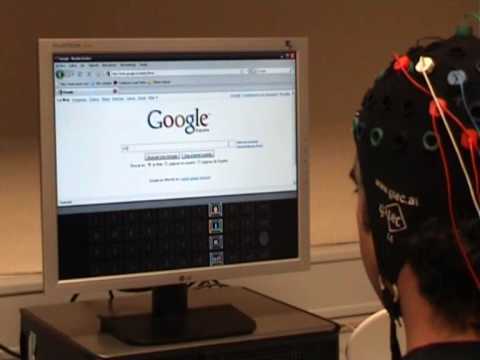 The six virtual flashing buttons on top of the computer screen serves as a visual marker of brain wave. Six flash squares represent turn left 3 times, turn left, shoot, shoot, turn right, turn right 3 times separately. James May in his BBC TV programme: "James May's Big Ideas" talks about thought controlled wheelchairs. 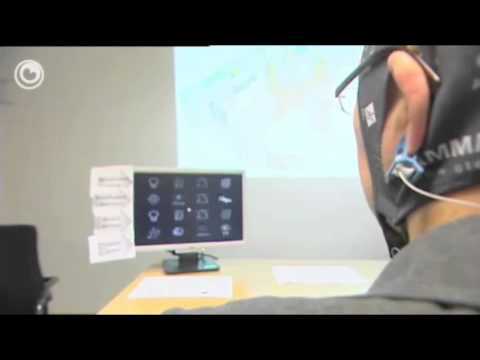 This video introduces the field of BCI or Brain-Computer Interfacing. Just like a fighter jet pilot needs to know how every button on his jet functions under every condition-you need to know how your brain works so you can have the operations manual for the most sophisticated apparatus in our entire universe. Master your brain, and the world becomes your oyster. Don't, and you become a victim of circumstance. neuroscienziati e che si prodiga per una miglior conoscenza della fisiologia e della patologia del Sistema Nervoso.